The health benefits of Angelica Essential Oil can be attributed to its properties as an anti-spasmodic, carminative, depurative, diaphoretic, digestive, diuretic, hepatic, emenagogue, expectorant, febrifuge, nervine, stimulant, stomachic, and tonic substance. Before we proceed to the medicinal properties of Angelic, you should know that it is also widely used as a flavouring agent in the food & beverage industry due to its sweet, spicy aroma. Angelica, botanically known as Angelica Archangelica or Angelica Officinalis, is believed to basically be an African herb that made its way into Europe in the 16th Century and gained tremendous popularity as a treatment for the Plague, which was a frequent and dreaded visitor to Europe in those days. It thrived well in Europe and as the years passed, its other medicinal properties were discovered. The medicinal properties of Angelica come mainly from its essential oil which is composed of constituents like alpha pinene, camphene, beta pinene, sabinene, alpha phellandrene, bornyl acetate, beta phellandrene, beta bisabolene, copaene, cryptone, cis ocimene, humulene oxide, limonene, myrcene, pentadecanolide, para cymene, rho cymenol, trans ocimene, terpinolene, terpinenol, and tridecanolide. 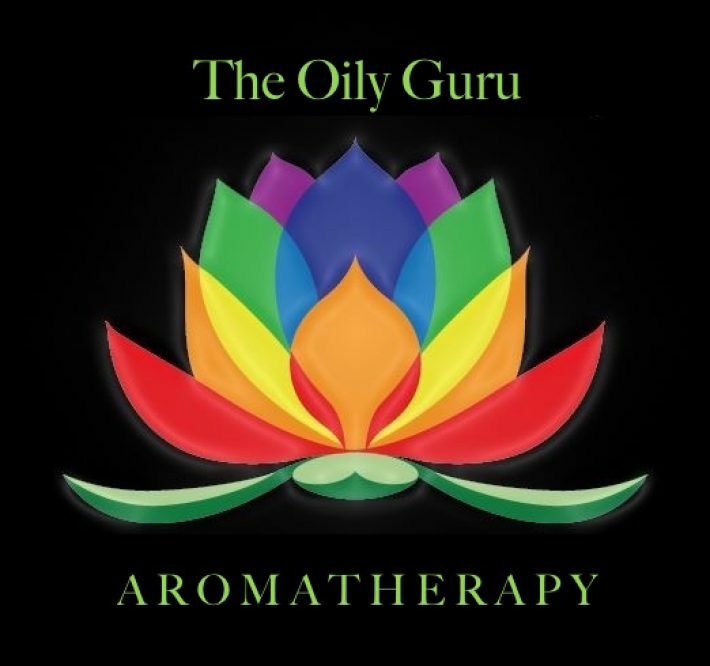 The essential oil is extracted through steam distillation of its rhizome (root nodules), seeds, and the whole herb. Now, let’s delve a bit deeper into some of its renowned medicinal properties before you actually use it! Where there is spasming, there are cramps, coughs, aches, diarrhea, nervous afflictions, and convulsions. What actually is a spasm? It is an involuntary and unpredictable contraction in the respiratory tracts, muscles, nerves, blood vessels, and internal organs resulting in severe coughs, cramps, convulsions, obstructed blood circulations, aches in the stomach and chest, and other symptoms. The only way out is to induce relaxation in the affected parts, which this Essential Oil of Angelica is able to do. This oil relieves spasms and gives relief from the painful symptoms discussed above. The relaxing effect of Angelica Oil is beneficial in driving out gas from the intestines as well. This relaxes the intestinal and abdominal muscles and lets the gases pass through a downward motion, which is much healthier than letting them build up and push upwards on the torso. This gives immense relief from troubles related to excess gas, such as indigestion, stomach aches, headaches, cramps, flatulence, nausea, and high blood pressure. Depurative means an agent that purifies the blood. The Essential Oil of Angelica does exactly that with great efficiency. It is considered a diuretic (promotes urination) and a diaphoretic (promotes sweating) and thus it speeds up the removal of toxins like uric acid and others, including excess salt, water, fat, and bile from the body through urination and sweat. Therefore, it also gives relief from ailments associated with their accumulation. In this way, it lowers blood pressure and reduces fat (protecting your heart) along with giving relief from troubles like rheumatism, arthritis, gout, and renal calculi. Sweat may be the cause of annoyance for the majority of us, but it is actually one of the most beneficial things for your health. Sweating is the natural method for removing toxins and waste products from the body. Sweat is not just saline and foul-smelling water. Apart from the water and salts like sodium chloride and magnesium chloride, sweat also contains sebum, fats, uric acid, bile and other toxic elements that are not welcome in our body. Therefore, sweat performs the important task of disposing of them. Sweating helps to increase the potassium ratio in the blood, thereby reducing the blood pressure, lowering fat content, and decreasing weight. Furthermore, removing uric acid and other toxins can give relief from rheumatism and arthritis. Angelica Essential Oil also promotes digestion by stimulating the secretion of digestive juices like acid and bile into the stomach. It also promotes the proper movement of food through the intestines and absorption of the digested food by intestinal villi. This property may be bliss for those suffering from chronic renal failure, the excess accumulation of water in the body, or for those who are suffering from renal calculi, obesity, hypertension and symptoms associated with the accumulation of toxins in the body such as rheumatism, arthritis, and gout. As a diuretic, Angelica Essential Oil increases frequency and quantity of urination, which helps to remove excess water, salts, fat (urine contains up to 4% fat), and toxins like uric acid. This provides effective protection from the symptoms discussed above. The Essential Oil of Angelica gives good protection to the liver and makes it function well by stimulating secretions from that organ. It also protects the liver from infections and helps to heal wounds in it, if any are present. This oil also triggers the opening of obstructed menstruation and makes it more regular. As a bonus, one gets relief from the other symptoms associated with periods as well, such as headaches, abdominal cramps, nausea, vomiting, and fatigue. Being an expectorant, the Essential Oil of Angelica clears out the accumulation of phlegm in the respiratory tracts and also fights the infections that cause colds, thereby giving relief from cough, cold, sinusitis, and congestion in the lungs. This essential oil is also capable of reducing fever by fighting the infections that cause the fever. The diaphoretic and diuretic properties of this oil also contribute to this effect, since the removal of toxins and waste from the body speeds up the recovery time of infections. Perspiration also helps to reduce fevers. This oil also acts as a tonic for the nerves. It is effective in treating nervous afflictions and disorders and in strengthening the nerves. This, being a relaxant and a stimulant at the same time, sedates the nervous afflictions and relaxes them in cases of shock and hyper-reactivity, while also stimulating them in order to make us more active and alert. This oil has a relaxing effect on the body, the mind, and the nervous system. This becomes particularly beneficial in situations of shock, depression, anxiety, anger, and hypertension. In contrary to its behaviour as a relaxant, it is a stimulant for the systems functioning inside the body. It stimulates blood circulation, the secretion of hormones, enzymes, and other juices, and also stimulates metabolic processes, including digestion, absorption, and excretion. This attribute, in total, stimulates healthy growth. The simplest sentence that can best describe its stomachic property is that it is good for the stomach. It maintains the stomach in a good shape by maintaining the proper balance of acids and bile and by protecting it from infections. It also helps heal any sorts of wounds or ulcers that are present in the stomach. This oil promotes the all round development of health, boosts growth, and strengthens the immune system of the body. A Few Words of Caution: It should be avoided during pregnancy and by diabetics. It can cause skin irritation in higher concentrations and also photo-toxicity. In higher doses, it can cause excessive stimulation or hyperactivity of the nervous system. Blending: The Essential Oil of Angelica blends well with basil, chamomile, geranium, grapefruit, lavender, lemon, mandarin, and patchouli essential oils. That’s a new one to me! Good info, also, how do you use it? Diffuser, internally or topically? All of the above my friend.